You are commissioning me to construct a miniature family name sign for your 'wee folk' dwelling. Please note: This little wooden sign is ENGRAVED and the words will not wear off over time. I engrave the sign free hand so the "penmanship" will not be perfect like a computer font. The approximate size of the one in the picture is about 3.5 inches. Love it!!! Everything was perfect!!!! 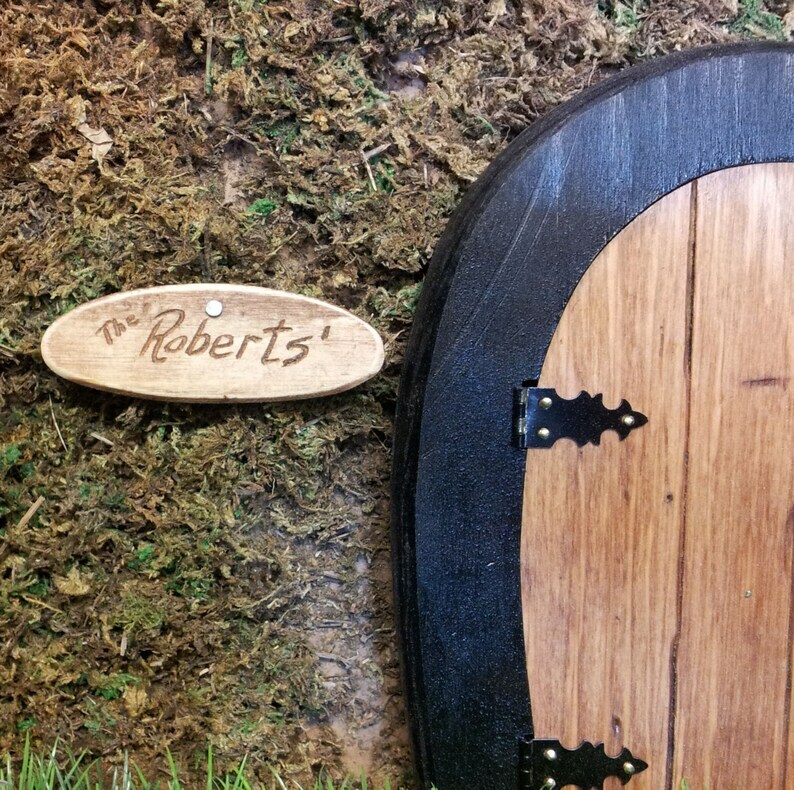 Gnome doors, Fairy Doors, Faerie Doors, Elf Doors, 9 inch with Lion Knocker.